Saint-Laurent du Verdon is a small village located in the department of Alpes de Haute Provence. The people of St. Laurent have the joy of welcoming many visitors, including Oblates from all continents. At least three times during the year, Oblates come to this small village of about fifty inhabitants, to celebrate Mass and visit the castle. It is a pilgrimage in the footsteps of Saint Eugene de Mazenod. It was in September 1818 that he went to St. Laurent du Verdon, in the family castle, to write the Rule of life of the Missionaries of Provence, his new-born community, later became Missionary Oblates of Mary Immaculate. On Saturday, September 22, 2018, the Oblates celebrated the bicentenary of this Rule. 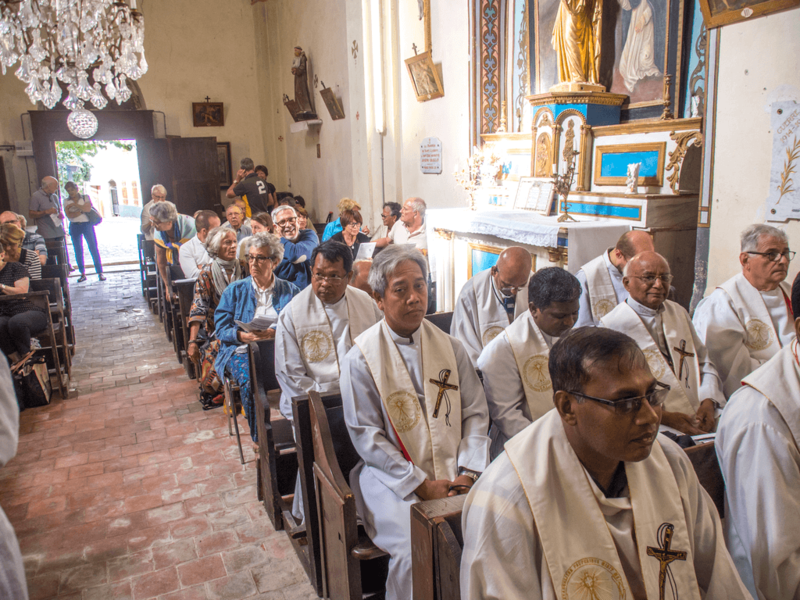 About sixty lays members of the Mazenodian Family, thirty Oblates, and in the presence of Fr. 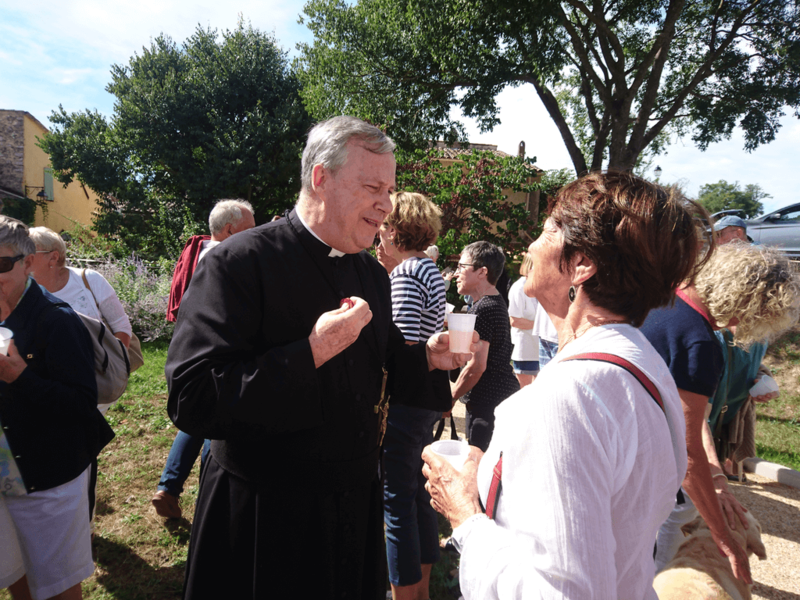 Louis LOUGEN, the Superior General of the Oblates, gave thanks to God for the gift of religious life and inaugurated a commemorative plaque for the writing of the Rule of Life. The celebration ended with a picnic in the garden of the castle. It was, then, followed with a visit to the castle organized and guided by the owners of the castle. They, the owners are almost all of them from Great Britain. They are so kind and welcoming! They are good friends of the Oblates.